A noble gas, non-reactive, but toxic in high concentrations. About 1% of Earth’s atmosphere and 2% of Mars’s. Used in welding. One of the most useful and abundant of all elements. Definitive element of organic molecules. Found in wood, plastic, steel, diamond, nanotubes and many other materials. The lightest and most abundant element in the Universe. The main element in stars, commonly found in water and hydrocarbons. An essential element for life, found in all living things. Comprises about 80% of Earth’s atmosphere. An essential element for life, and extremely abundant. Most often found in water, air, and in rocks as metal oxides. A radioactive metal sometimes used as power source in mobile robots and spacecraft. Simplest hydrocarbon, non-toxic, major constituent of natural gas, great fuel. The simplest alcohol. A light, volatile, colourless, flammable liquid that can be used as a fuel or to make other chemicals. Toxic gas found in car exhausts. Can be used in fuel cells and iron refining. Non-toxic in small concentrations, exhaled by animals and consumed by plants (photosynthesis). Comprises about 96% of the atmospheres of both Mars and Venus. The most abundant and lightest gas in the Universe. Essential for life, extremely abundant in the Universe, an excellent solvent, we’re mostly made of it, Earth is mostly covered in it, you can swim in it, wash with it, throw it on people during Thai New Year, even drink it. Non-toxic and a good buffer gas. Comprises about 78% of Earth’s atmosphere, 2% of Mars’s, 3.5% of Venus’s, and 95% of Titan’s. A metabolism product and important component of fertiliser. Important biological regulator relevant to neurology, physiology and immunology. Non-toxic, but rapidly oxidises to toxic NO2 in the atmosphere. A brown toxic gas and major air pollutant, commonly produced by internal combustion engines. Inhaled by animals, exhaled by plants. Extremely abundant in the Universe, comprising about 20% of Earth’s atmosphere. Most common oxidiser used in rocket propellant. A toxic form of oxygen that absorbs ultra-violet radiation. Found in the upper atmosphere. Numerous acronyms and initialisms appear in this document; all are listed below for easy reference. They are drawn from several domains, including space, technology, business and military. Several have been newly invented for this document. To mitigate acronym overload, and reduce time spent flicking back and forth to this page, acronyms are expanded on first usage. Sensation of gravity, usually produced by centripetal force. Stirling engine powered by a large radioisotope heater unit. Quad bike suited for driving on rough terrain, such as on Mars. Method proposed for extracting water from the Martian regolith using a mobile robot. Internet protocol designed for DTNs. Component used in digital cameras for detecting light. Senior executive position in a company. Semi-conductor material used as a substrate on flexible, thin-film solar cells. Massive burst of electrons, ions and atoms from the Sun’s corona into space. Also known as a solar flare. Committee that promotes international collaboration with respect to scientific research in space. Component that can be purchased from a commercial vendor, rather than custom-designed and built from scratch. A visible-infrared spectrometer aboard the Mars Reconnaissance Orbiter searching for mineralogic indications of past and present water on Mars. A satellite that receives and retransmits communication signals. Illness caused by dissolved gases (usually nitrogen) forming bubbles in the blood upon depressurisation. NASA’s fundamental architecture and assumptions for sending humans to Mars. Worldwide network of large antennas and communication facilities located in California, Spain and Australia, used for tracking interplanetary spacecraft. Approach to computer network architecture where the network may be subject to delays or disruption, such as in space. System for maintaining a vehicle or habitat’s environment at the right conditions to support human life. Process of landing a spacecraft on a planet with an atmosphere. Also known as “SpaceDataHighway”. Collection of satellites in GEO providing high bandwidth laser communications between satellites, spacecraft and ground stations. Expendable launch system program designed to assure access to space for US government launches, and make them more affordable and reliable. Crew Dragon that carries the crew from Earth surface to Earth orbit, then from Mars orbit to Mars surface. Also known as Einstein. Passively-cooled cryogenic tank of methane and LOX, for fuelling the MTV. Orbital manoeuvre that moves a spacecraft into Earth orbit. When two spacecraft meet and dock in Earth orbit. Propulsion method that uses electricity to produce positive ions, which are then expelled using magnetic forces to create thrust. Vehicle to carry humans from Mars to Earth. Space agency of Europe, comprised of 20 member nations. When an astronaut goes outside a vehicle (e.g. spacecraft or rover) or habitat wearing a spacesuit. MARS at Haughton Crater on Devon Island in the Canadian Arctic. Navigation system that calculates optimised trajectory corrections in real time. Spacecraft subsystem responsible for controlling its position and velocity. Navigation system that can pinpoint your location anywhere on Earth. An instrument on Mars Odyssey. A Hohmann transfer orbit used to reach geostationary orbit. Camera, image or video with high resolution. An equatorial orbit around Earth with a low perigee (~1000 km) and a high apogee (geostationary altitude or higher). An equatorial orbit around Mars with a low periareon and a high apoareon. Camera in Mars orbit sending back beautiful high resolution colour images of Mars. A MARS on the slopes of the Mauna Loa volcano in Hawaii. An LCRS in orbit around the Sun. Rocket capable of lifting between 20 and 50 tonnes to LEO. Space mission that sends humans to Mars. Any activities involving humans in space. How much mass needs to be launched to LEO at the start of a mission. Correlates with mission cost. 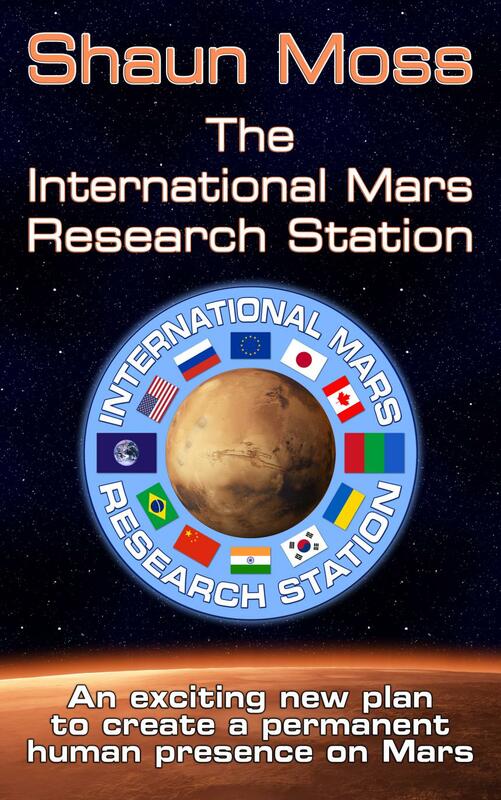 Mars base to be developed by the world’s leading space agencies and made available to all nations for science and engineering research. Communications protocol developed for the Internet. Producing breathable air from local resources. International consortium of space agencies collaborating on global space exploration policies and strategies. Producing electrical energy from local resources. Producing food from local resources. Producing rocket propellant from local resources. Making use of local resources. Space station built by international partners. Producing potable water from local resources. A collection of gravitationally-determined pathways through the Solar System that require minimum energy for a spacecraft to follow. Activity inside a vehicle (e.g. spacecraft or rover) or habitat. A process of optimising safety for a work task (such as an EVA) by going through the steps involved, identifying possible hazards, and developing strategies for mitigating these. Space agency of South Korea. Mission to demonstrate laser communications between satellites, ground stations and spacecraft, throughout Solar System. Versatile and inexpensive rocket fuel. A CRS utilising laser communications. Diode that produces coloured light when current is flowing through it, commonly used in consumer electronics. Orbit around Earth that is low (e.g. the ISS is in LEO at about 300 km up). Hydrogen in liquid form, as used in rocket propellant. GNC technology that uses landmark recognition to facilitate pinpoint landings on worlds without positioning satellites. Experiment in laser communications between a satellite in lunar orbit (Lunar Atmosphere and Dust Environment Explorer) and a ground station on Earth. Mined gaseous hydrocarbon fossil fuel, comprised mainly of methane. Orbit around Mars that is low (e.g. 200 km). When one or more astronauts die on a mission. When a space mission fails. Oxygen in liquid form, as used in rocket propellant. A navigation system that covers only a small area of land (c.f. GPS), usually defined by three or more signalling beacons. Patch of open ground where an aerial or space vehicle can land. Crew Dragon which forms the topmost section of the MAV. Also known as Kepler. Base in a Mars analogue environment on Earth where simulated Mars missions are conducted. Vehicle to carry people from Mars surface to Mars orbit. Team and facility on Earth that manage a Mars mission and communicate with the crew. Satellite in aerostationary orbit with the same longitude as the IMRS, for maintaining communications link with Earth and watching the base. Type of spacesuit that uses elasticised material instead of gas to provide pressure to an astronaut’s body. A new SHLLV being developed by SpaceX, capable of delivering up to 100 tonnes to the surface of Mars. MARS near Hanksville in Utah, USA. Twin rovers Spirit and Opportunity that have spent many years exploring Mars. NASA spacecraft in Mars orbit. University in Massachusetts, USA, known for developing breakthrough technologies. Multiple layers of thin sheets of material designed to reduce heat loss by thermal radiation. Rocket capable of lifting between 2 and 20 tonnes to LEO. Orbital manoeuvre that moves a spacecraft into Mars orbit. Instrument onboard MGS that measures the topography of Mars. When two spacecraft meet and dock in Mars orbit. Australian branch of the Mars Society. Cargo Dragon used to deliver supplies to the Martian surface. A Hohmann transfer orbit that connects Earth’s orbit with Mars’s. Vehicle to carry humans from Earth to Mars. Space agency of the USA. Universal docking system used on the ISS, Soyuz, Dragon, B330 and other spacecraft. Form of EP where the electricity is generated from nuclear energy. An American program to develop a thermal nuclear propulsion system for interplanetary crewed missions. Rocket with a propulsion system that uses nuclear fission to superheat reaction mass. System of thrusters for manoeuvring on orbit. Experiment in laser communications between ISS and ground stations. Part of a spacesuit that maintains a healthy environment for the occupant. Conversion of light into electricity. System of thrusters that control a spacecraft’s orientation in space. Amount of water vapour in the atmosphere expressed as a degree of saturation. Rocket that can be reused multiple times. What you get back from an investment in a project or business. Highly refined form of kerosene used as rocket fuel. Generator that converts heat produced by radioactive decay into electricity. Chemical reaction that reacts CO2 with H2 to produce CO and H2O. Form of EP where the electricity is generated from solar energy. Equipment to enable breathing when diving underwater. Habitat for the surface of Mars. Rocket capable of lifting more than 50 tonnes to LEO. Space Shuttle-derived SHLLV currently in development by NASA. Network of satellites and ground stations that support communications with spacecraft close to Earth. A solid oxide fuel cell operated in regenerative mode to separate CO2 into CO and O2. Publication that is special (esp. NASA). Rocket that can reach orbit with only one stage. Educational topics related to space exploration and settlement. Internet protocol that ensures reliable data communication. Network of communications satellites and ground stations used by NASA for space communications. Orbital manoeuvre that places a spacecraft on a trajectory towards Earth. Habitat for the flight from Earth to Mars and back. Orbital manoeuvre that places a spacecraft on a trajectory towards Mars (see MTO). Level of maturity of a technology, and an assessment of its suitability for space applications. The ratio between an engine’s thrust and its weight in Earth gravity. Spacecraft propulsion technology that uses radio waves to to produce a plasma, which is then accelerate using magnetic fields. Refers to aircraft or spacecraft that can take-off, hover and land vertically. Device for extracting water from the Martian atmosphere. A high-efficiency water recycling unit for a space habitat. When no time is required for prebreathing before EVA, usually because of the spacesuit technology. Spacesuit providing a high enough pressure that prebreathing is not required.